Light tunnels can help to transform dark or windowless rooms by flooding them with natural light. Also known as sun tunnels or light pipes, they channel sunlight directly from your roof and into the room below, via a reflective tube which magnifies the light to make your space feel bright and airy. 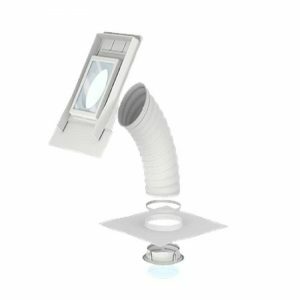 They can be installed both on pitched or flat roofs as an easy way to bring more natural light into your home. 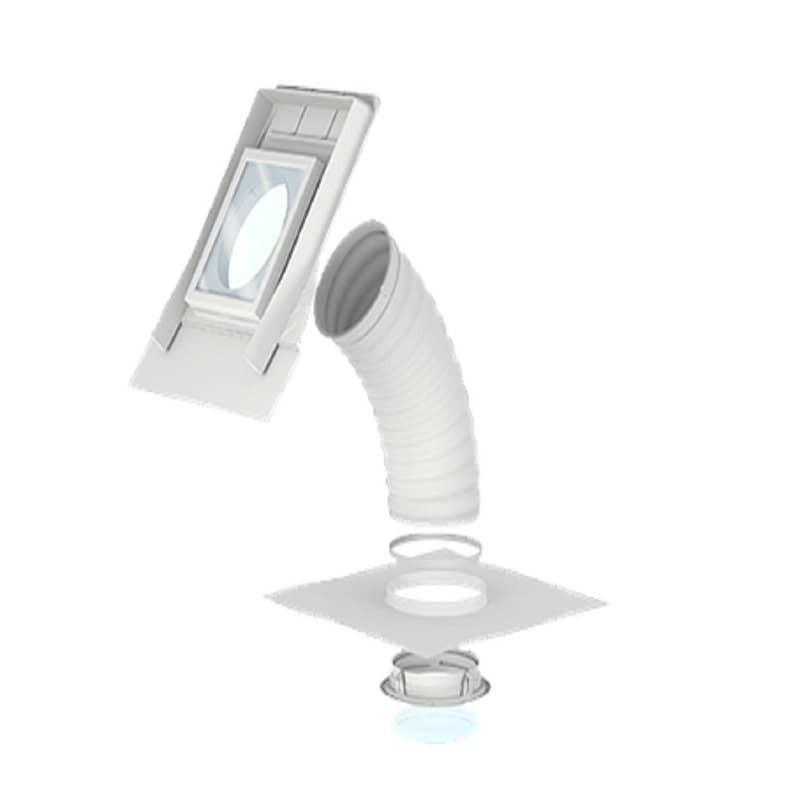 Light tunnels come in two main types, flexible and rigid. Both have their own pros and cons which mean that they each bring unique benefits to different types of application. Rigid light tunnels tend to transmit light better than flexible sun tunnels because they allow for light to channel directly from the roof, unobstructed. Because less light bounces off the internal surfaces of the tube, more natural light gets into the room. 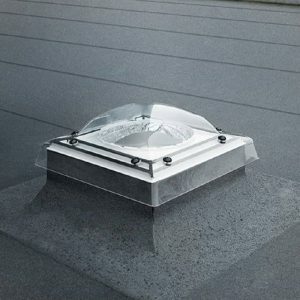 Light tunnels come with two different top types – flat glass panels or rounded domes. Flat glass panels tend to look better as they sit almost flush with the line of the roof. However, they can also reflect light away, meaning less light will be channelled through the tunnel and int the room below. Rounded domes sit above the roof line, they refract and magnify light better, meaning they capture and channel more natural light through the tube. The best place to position your light tunnel is in the south-facing side of the roof, as this is the part that will see the greatest amount of sunlight during the day. If you have a pitched roof, installing your light tunnel as close to the apex as possible will also maximise the amount of light it is exposed to, to really make the most of all available light. If installation on a south-facing roof is not possible, you can still capture enough natural light from north, east or west facing roofs. While natural daylight helps to boost your health and wellbeing, it can also help to reduce your energy bills too, and make your home more energy efficient. Allowing more natural light into your home will mean you don’t need to rely on the lights as much during the day, but will also help to keep your living space warmer for longer. 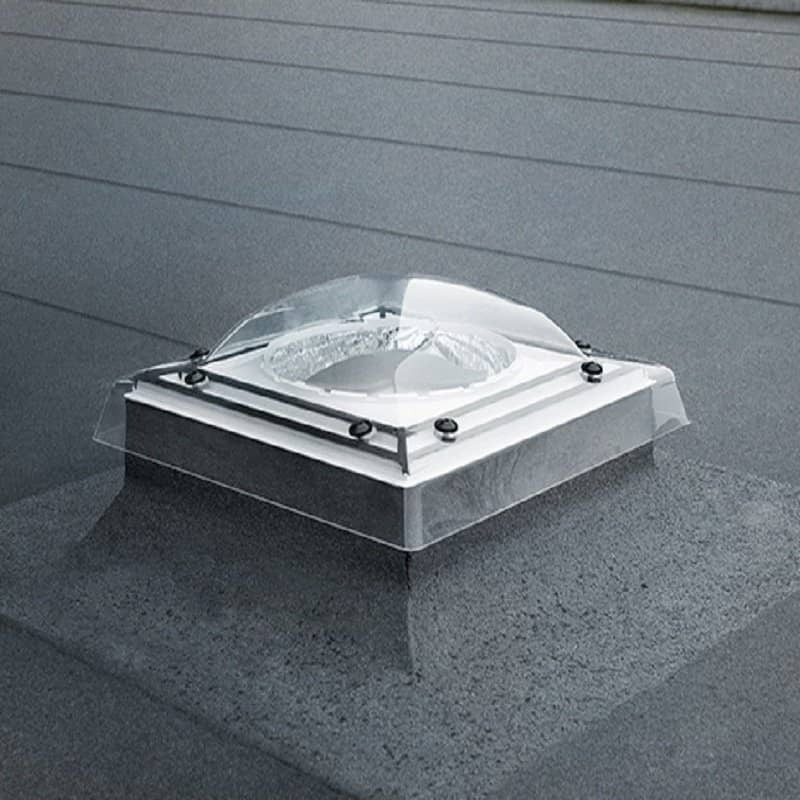 With a full range of light tunnels available from market-leading brands such as Velux and Jet Cox, the team at LB can help you find the perfect product to bring more natural light into your home. To find out how we can help, get in touch today.